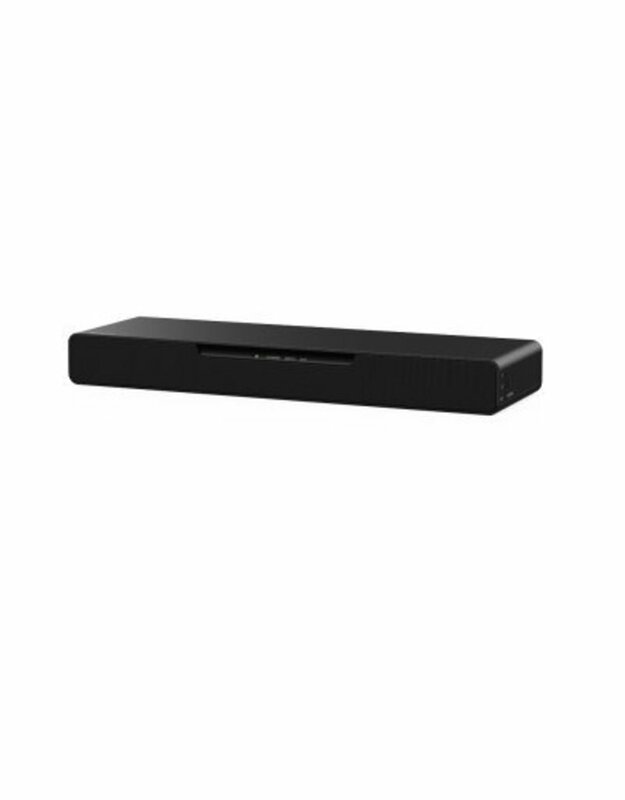 The brilliantly compact SB1 sound bar produces great quality audio for your tv, gaming or music entertainment at home. 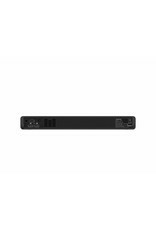 High Resolution Audio ensures studio quality sound, while HDMI ports transmit the highest quality signal around your home set-up, with 4K pass-through. Built-in Bluetooth technology means it's simple to connect your smart device wirelessly so you can stream your favourite tunes to give them a rocking new lease of life. 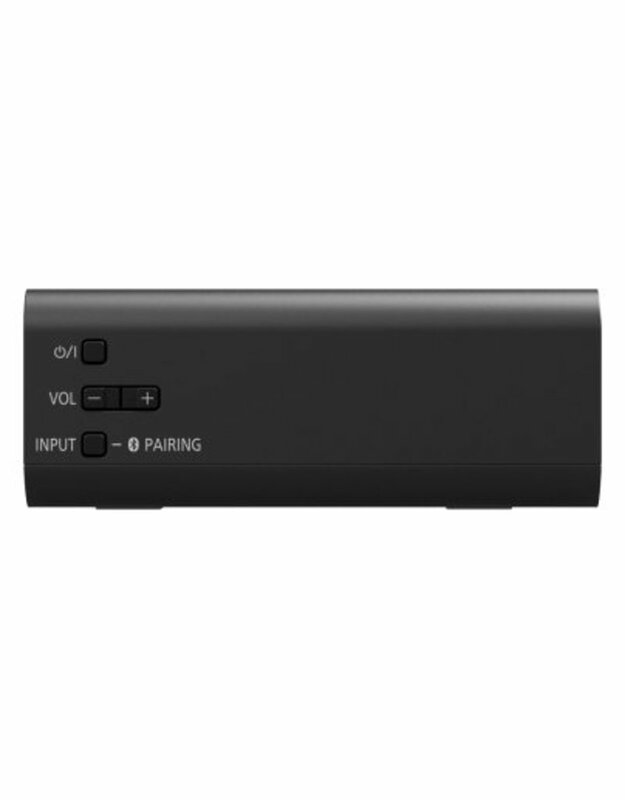 With a built-in sub-woofer the all-in-one sound system of the deceptively small SB1 handles the full frequency range with aplomb to transform your audio. 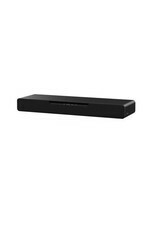 This 2.1 channel sound bar packs 40W of audio power. And because the sub-woofer is built in there's no need for a cumbersome separate unit. From booming bass explosions to high clarity classical overtures, the full frequency range is produced with detail and dynamism. High Resolution Audio raises the grade of your listening. Based on encoding and playback at a higher sampling rate than standard, high and low frequencies are extended for a greater level of detail across the whole sonic range. The result is studio quality sound, just as the artist originally intended. With HDMI ports, it links up seamlessly with your home AV set up with highest quality of connection. 4K HDMI pass-through allows for the purest transmission of TV signal around your AV equipment with no loss in signal quality. 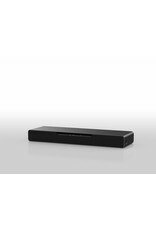 Built-in Bluetooth means you can pair up your smart device in an instant and stream your music wirelessly from your phone or tablet. Give your top tunes an awesome audio makeover from the comfort of the armchair. 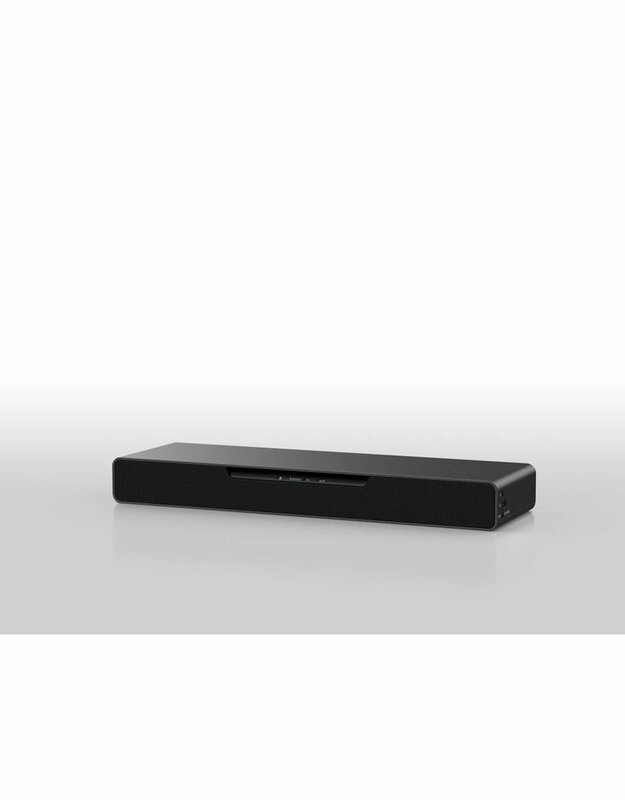 Designed with space-saving minimalism in mind, the SB1 is discrete and stylish but still packs powerful audio punch. Finished with a cloth covered speaker grille its demure dimensions slip easily into your home setup. If you want to connect the soundbar to your TV, blu-ray player or games console then you'll need a HDMI cable.